Me: I had a bit of a rough night. Max tried to poo so hard he vomited. Mom 3: Did he vomit liquid or solids? Me: Quite a mixture. Lots of milk, but definitely some solids in there. Mom 4: That happened to us on Monday night. X vomited all over the place after drinking a lot of milk, and I smelt it for days. Mom 4: That sour-milk smell takes ages to go away. Me: The kitchen sink still smells of vomit. Mom 2: What are we having for breakfast? 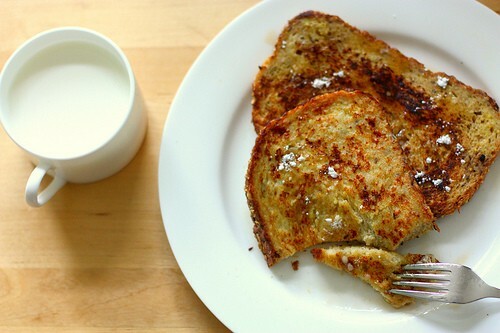 Me: The French toast – I wish I could say no to it, but I’m going to crave it if I don’t. Mom 3: I’m going to have it too. And this is what I love about moms – we’ve all been vomited on, we commiserate with each other, and yet life goes on. And we don’t turn a blind eye when conversations get, er, messy. I’m grateful to have a mix of people in my life. I love those who I can talk frankly to about poo, yet grateful to those who make me realise there is more to life than that. Announcing the winners of the Africology body butter…. Amazing how totally liberating motherhood is. I am surrounded by unmarried, unchildbearing friends. I have 1 really good friend with a child and when we get together it is absolutely fantastic. We talk about everything and anything and can continue to shove as much food in our mouths as possible! Dont think I can live without her! Yip, baby poo conversations. Got to love them. I had one with a work collegue this morning. Neither of us were wearing orginal clothes we put on.